Dorrigo National Park Branden Bodman / OEH -30.37698, 152.72861 A rainforest paradise. A rainforest escape is closer than you think. 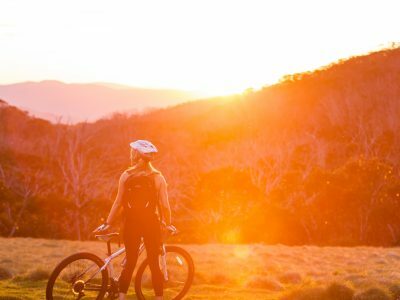 Skip the airport and turn some wheels – this Coffs Harbour road trip will take you through a diverse selection of rainforests, from the tranquil temperate to the sultry subtropical. Exploring the stunning region is best done by car camping, and it’s easier than you think! Here’s everything you need to know about hitting the road and living out of your car for a few days. My biggest tip? Give yourself enough time to keep the driving chill and save some energy for soaking up those rainforest vibes. Remember Sherwood Forest in the movie “Robin Hood and his Merry Men”? Well the Sherwood Nature Reserve is 10 times better and I have no doubt Robin Hood wishes he was running around warm subtropical rainforest instead. Creek Crossings: There are a few creek crossings so make sure your shoes can get wet or be easily removed. There are BBQs at the picnic area, because this is Australia and NSW National Parks love us. Don’t forget water, a hat and shoes that can get wet or be removed easily. Try to cover up instead of using repellent if you’ll be putting your feet in the water. The picnic area can become boggy in very wet weather. Ready to walk through the second biggest chunk of littoral rainforest in the state, literally? Littoral just means “close to or on the shore of a body of water” and the rainforest of Bongil Bongil National Park is exactly that. Rainforest, meet ocean. 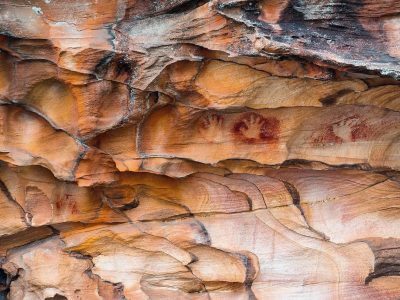 Check out the Bundagaree Rainforest Walk. 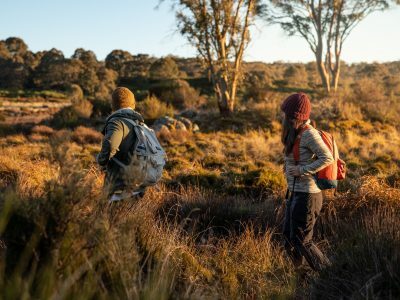 You’ll walk 3km through beachside habitat, spotting koalas, echidnas, coastal carpet pythons and bowerbirds, before dipping in rock pools and walking back along the beach, feeling the wind in your hair and generally having the best time ever. It’s A Wild Beach: The beach is unpatrolled and only safe for experienced swimmers in calm weather. Hit the picnic area and jump onto the Bluff loop walking track after lunch. This track goes past the protection of the dunes and winds through an astonishing range of gums, resulting in, you guessed it: more adorable koalas. Did you know? 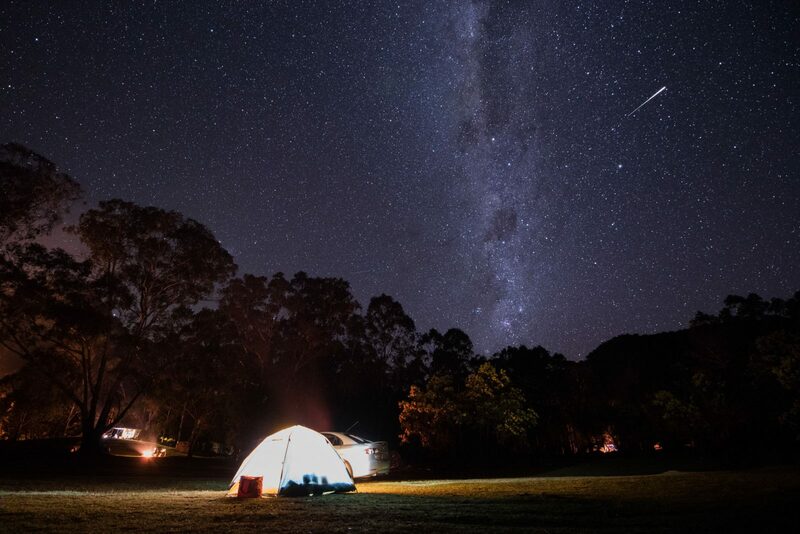 Many of the places you will explore along the way are Gumbaynggirr Country such as Dorrigo National, Sherwood Nature Reserve and Bongil Bongil National Park. Swimmers are a must! Beaches are unpatrolled so exercise caution and read up on water safety. Bring binoculars for spotting birds and koalas. 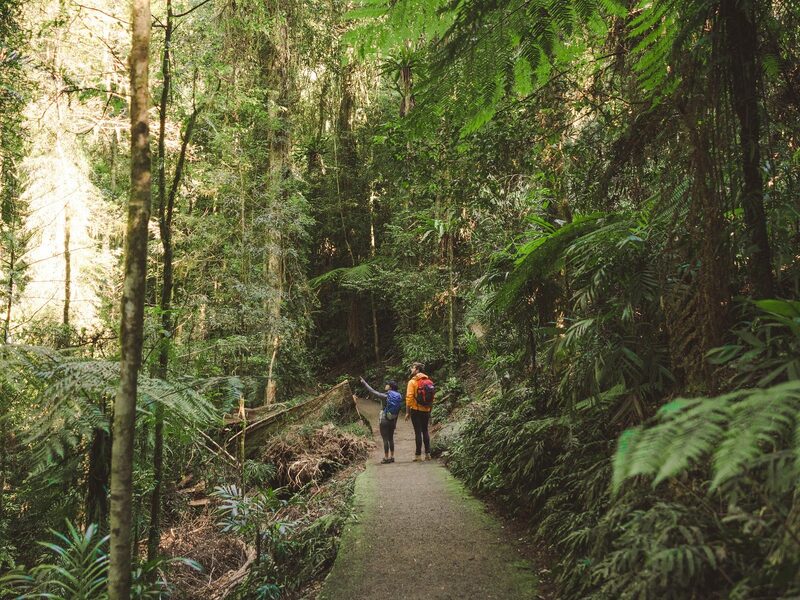 Dorrigo National Park is an absolutely unmissable part of your rainforest escape. The cool subtropical World Heritage Gondwana Rainforest of Dorrigo features some of the first flowering plants and songbirds… ever. Pretty mind blowing. The perfect place to start is the Dorrigo Rainforest Centre. There’s a heap of info packed into this incredible building that’ll prepare you for the adventures ahead. 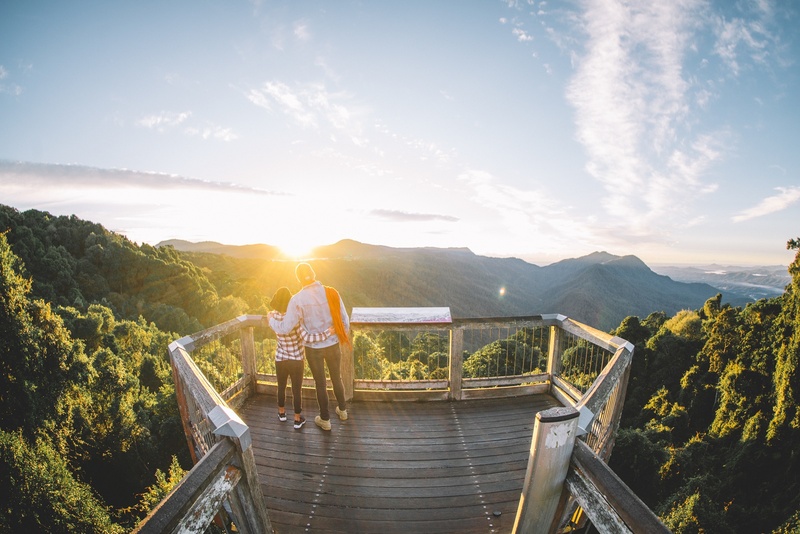 Just metres from the centre is the Skywalk lookout, a super accessible pathway that lets anyone check out the breathtaking escarpment from above and saunter through the top of the rainforest canopy; look out for giant pythons in the trees and wedge-tailed eagles soaring above. The classic Dorrigo experience is the Crystal Showers walk. You can view the falls from a suspension bridge. If you want to leave the man-made stuff behind take a drive to Never Never picnic area and dive onto the Rosewood Creek walking track. The gigantic and ancient blackbutt trees tower above a canopy of warm-temperate rainforest, while the clear and cool waters of Rosewood Creek meander lazily below. It’s a part of the rainforest that has to be seen to be believed. Good footwear, water, food and a hat are a must for these tracks. Rainforest Centre entry is a $2 donation. But there’s also a café and free BBQs! 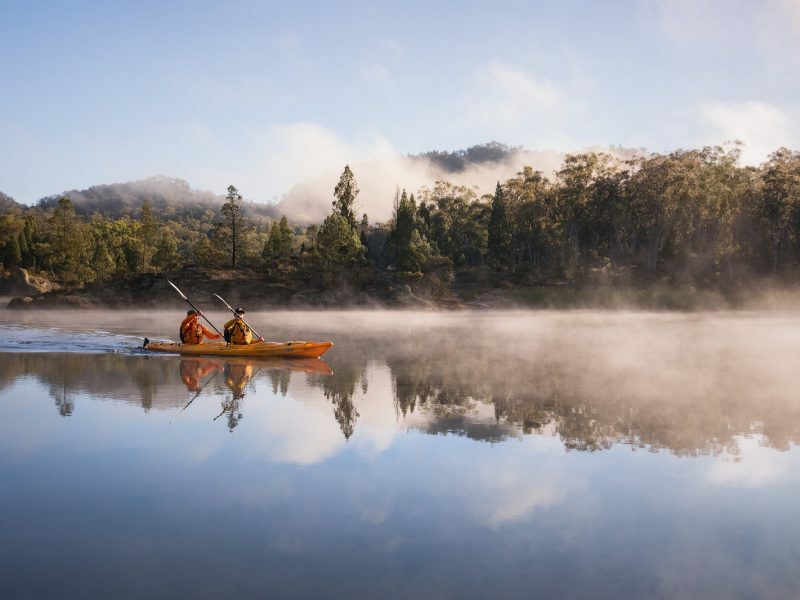 Head inland to New England National Park. Don’t worry, there’s nothing new or English about this spot, just oodles of immersive World Heritage Gondwana Rainforest. Start off at Point lookout. At 1563m high you’ll really get a feel for the altitude that gives this region its cool temperate climate and rainforest to match. Not to mention the stellar panoramic views from the well-named “Great Escarpment”. After reading up on the park and smashing a snack at the picnic area it’s time to get into the rainforest! 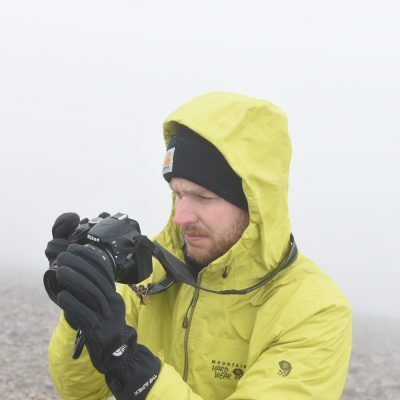 Head straight onto the gorgeous Eagles Nest walking track from Point Lookout and wind through the ancient Antarctic Beech trees on your way to Weeping Rock. Keen to spot a king parrot or see the bird behind a lyrebird’s call? Carve out a morning for the 5.5km Lyrebird walking track, keep slow and quiet so you don’t scare them away! You can shorten this walk by heading back via Tree Fern Valley. You’ll love this spot so much that you’ll want to spend the whole day here. Luckily you can camp amongst the ferns at the drive-in Thungutti campground. If camping is not your style and you prefer a hard roof over your head there are options nearby too. Cabin accomodation is available at The Chalet and Toms Cabin. A small fee applies for camping at Thungutti Campground. Every road trip needs a grand finale. How does a cascade plunging 100m into a massive gorge sound? 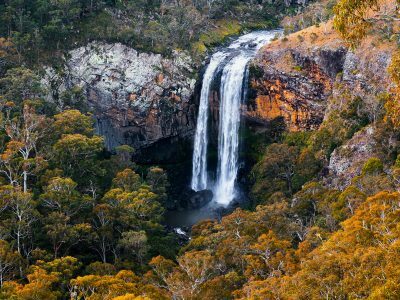 The absolutely aesthetic Ebor Falls in Guy Fawkes River National Park is a fantastic place to reflect on your journey and the power of nature – the rushing water is perfectly complementary to the tranquility of the rainforest you’ve discovered. Enjoy the easy stroll between the upper and lower platforms, relax with a coffee at the picnic area and hit the road with a head full of memories. Don’t worry, you’ll be back. The rainforest is like that.